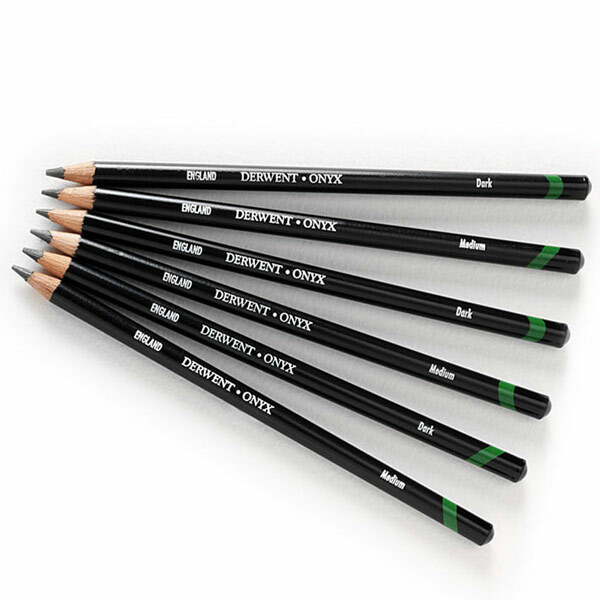 The Derwent Onyx pencil is made from smooth dark graphite and allows you to instantly create dense rich jet-black tones, even darker than a Graphic 9B. The Derwent Onyx pencil is equally good for quick expressive sketches as well as detailed technical and architectural drawings. If you require really deep tones these can be built up by applying increased pressure. Less pressure will achieve lighter tones ideal for more precise work. It is available in two tones, Medium and Dark.